For the past 3 years, AZDBA has partnered with Arizona Disabled Sport’s Pedal N’ Paddle Event held each October at Tempe Town Lake for anyone with a physical disability or visual impairment. 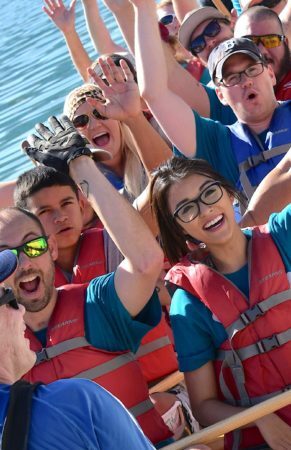 The event combines Kayaking, Cycling, and Dragon Boat Paddling, and draws close to a hundred participants each year for the food, fun, and festivities! AZDS has its origins as the Mesa Association of Sports for the Disabled. MASD began in 1988 when an adaptive physical education teacher and a city recreation specialist saw the need to create an avenue for people with disabilities to be able to practice and compete in sports. In 1990, the first Desert Challenge Games was held and one year later the event became a regional qualifier including 125 athletes from 7 states and Canada. As the organization continued to grow, they continued to add more events, programs, and athletes to their fold. As the Desert Challenge Games grew in national prestige, MASD hosted an annual power soccer culminating tournament for all national teams, their wheelchair basketball teams flourished, and they hosted the annual East Valley State Basketball Tournament, a 3 day event utilizing every high school and junior high school gymnasium in Mesa. The You Look Marvelous Fashion Show began in coordination with Chandler Parks and Recreation. Since then, they have added track, field, archery, bowling, swim, bocce, basketball, cycling, cheerleading, gymnastics, and soccer to their repertoire. In 2007, MASD changed their name to Arizona Disabled Sports (AzDS) to better represent the scope of service that the organization was providing to the community. Today, approximately 1000 local athletes participate in seasonal training and competitive events. Many participate in national and international competitions. Additionally, over 500 athletes from across the nation and globe compete in various AzDS sponsored events. Arizona Disabled Sports is well known across the country as a top provider of sports and activities for people with disabilities of all ages. 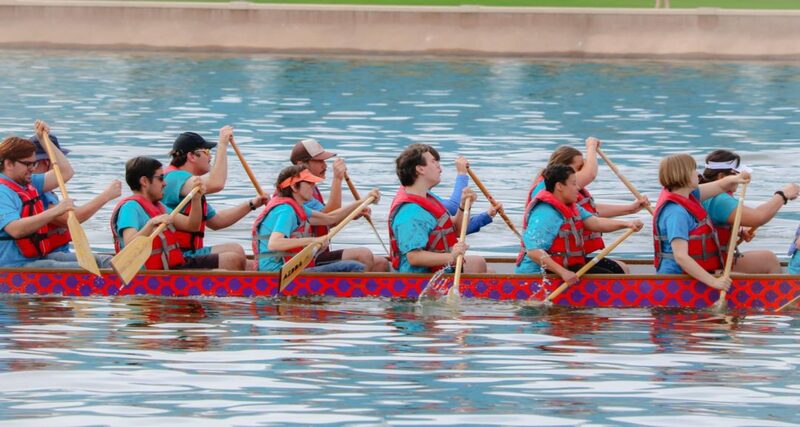 AZDBA is proud to stand shoulder to shoulder with AZDS and provide Dragon Boats, paddling equipment, coaches, and steers people to assist in their annual event which combines cycling, kayaking, and dragon boat paddling. But we need your help! AZDBA is looking for volunteers in our community to assist AZDS put on this worthy endeavor once again this year. If you are a certified AZDBA steersperson, would like to coach, or even paddle, we would love to have you be a part of this! 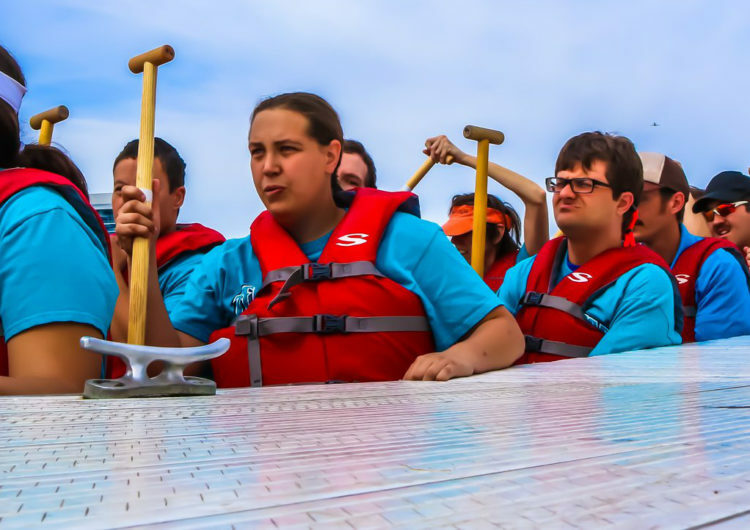 If you can not do any of these things, but would still like to join the festivities just to help with general coordination of the event, moving boats down to the docks, or just want to meet these special people, come down to join the fun! The event will be held this year on October 20th, 2018, from 10am – 2pm. If you are interested and available, please shoot an email to Ronda Carlson to let her know of your availability.